"Strong compression and wide playback support video codec for your PC and the Web." The Xvid codec is a strong compression and wide playback support MPEG-4 video codec that is used on PCs around the world and the World Wide Web - the internet. Xvid is very fast and it's optimized for the latest CPUs running on the fastest and best PCs. The codec compresses video files to make them smaller so that they can play anywhere. Recording video from the camera in realtime or playing HD video are no longer a problem with Xvid. And your computer will still have plenty of power left to run other resource intensive tasks. The Xvid codec can compress videos at a rate higher than 200:1. And there is no visible quality loss and the video retains a sharper picture than other compression techniques used with other codecs on the web and on other PCs. During the compression, Xvid removes information from a video that is not important for human perception. This allows the codec to achieve very high compression rates, all the while, keeping very good visual quality. The Xvid software runs on many platforms and all of the most popular video players support it. It can even be played back on home TVs and DVD/BD players without a problem. The best part of all is that the Xvid codec is absolutely free. This is because the Xvid developers believe in the Free Software movement and published Xvid under the terms of the GNU GPL license which grants the recipient lots more freedoms. 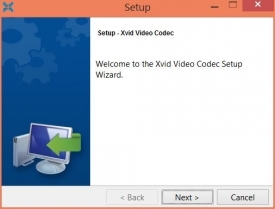 Download the Xvid codec today and start compressing your large videos.